It is good for physical health. The inner cultivation of qi helps improve the circulation of the blood and strengthens the body which directly improves your health. Therefore, in addition to being meditation, Sheng Zhen is also medical qigong. It improves emotional well-being. 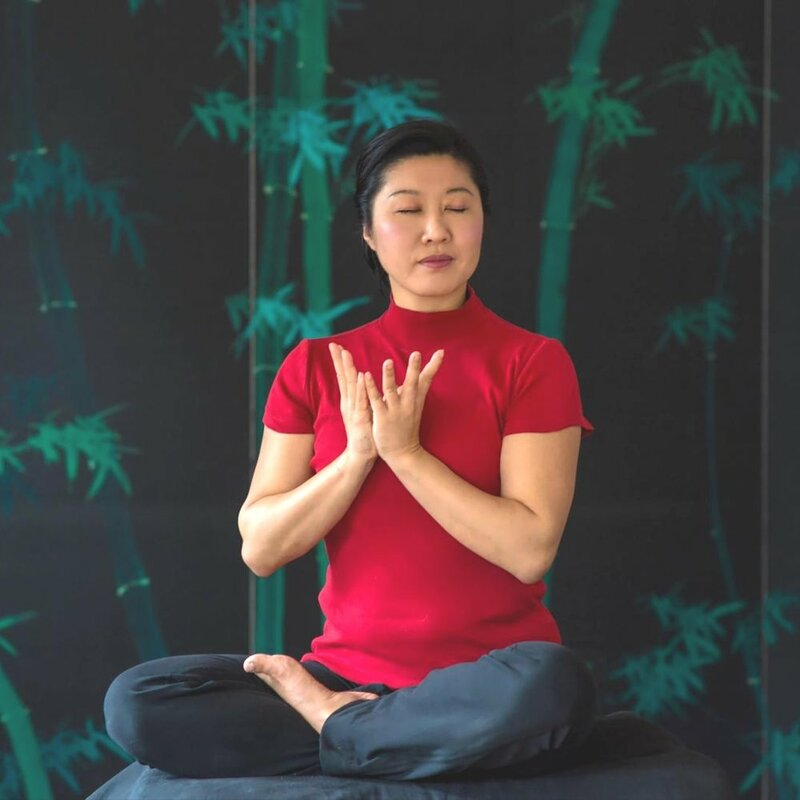 Sheng Zhen practices can remove stress, worries, nervousness, anger and hatred so that, no matter what is going on around you, you are calm, at ease and balanced. It is good for the spirit. Sheng Zhen Meditation opens and purifies the heart and elevates the spirit, so it is also a spiritual practice. Each form has a particular purpose or "flavor," but ALL forms have the primary function of opening the heart. 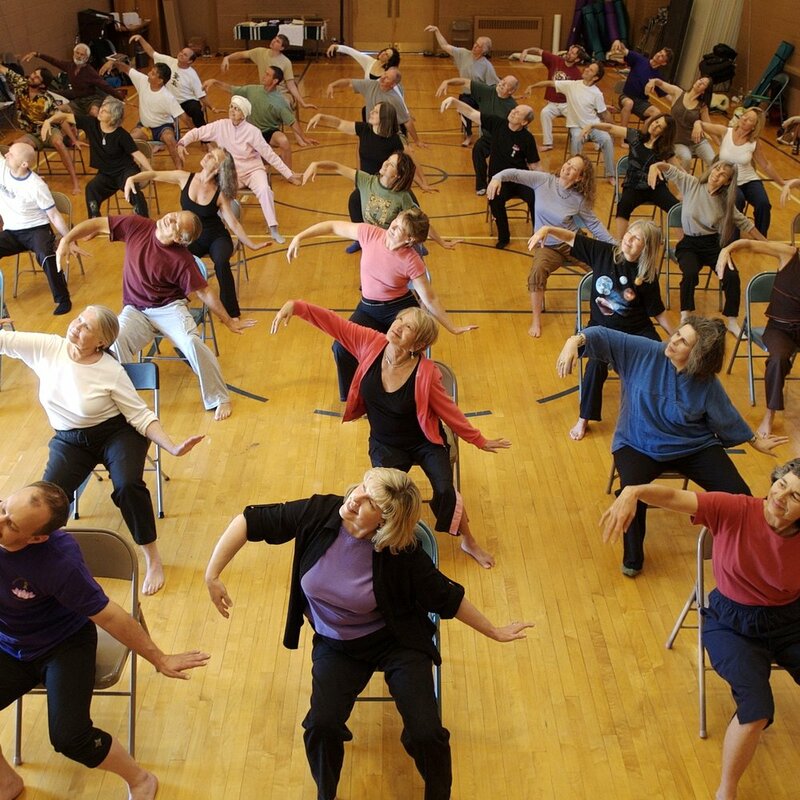 Some forms are non-moving meditations, some are moving, some are seated, and some are standing. One is even done while lying down. Though we may give some suggestions, such as Shen Zhen Healing for cancer patients or Heaven Nature for pregnant women, every form can be practiced by anyone – young or elderly, healthy or ill.
For best results it is recommended that the forms be learned in the following order, but it is also fine to do the form you are most drawn to. Click on the words or images below to learn more. Student photos: We would love to see your form! Students, if you would like to share any photos of you or a group practicing Sheng Zhen so that we might post on the website or use in various projects, please contact us. We respect your privacy. We typically announce that we will be taking photos and filming during our workshops and ask to be notified if you do not wish to be included. If you are in any of these photos or videos and did not wish to be, please contact us and we will remove them. Thank you.